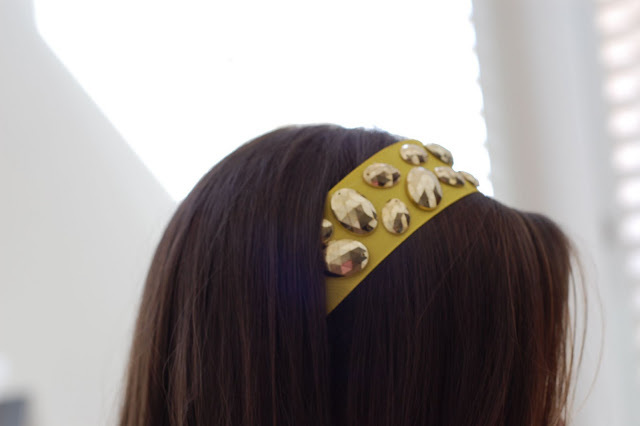 Before Blair Waldorf, I was a headband girl. 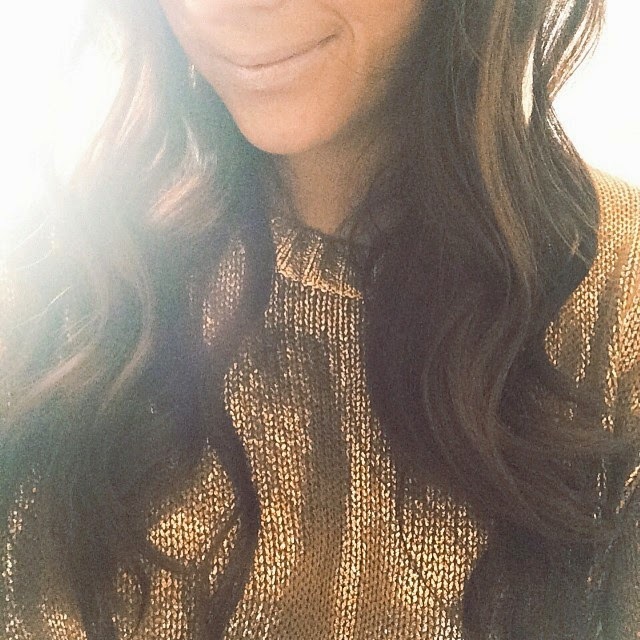 Regardless of my flat straight hair that I couldn't do anything with it would always stay back with a headband. So when I had some ideas of headbands I wanted to wear but couldn't find any I decided to make them! 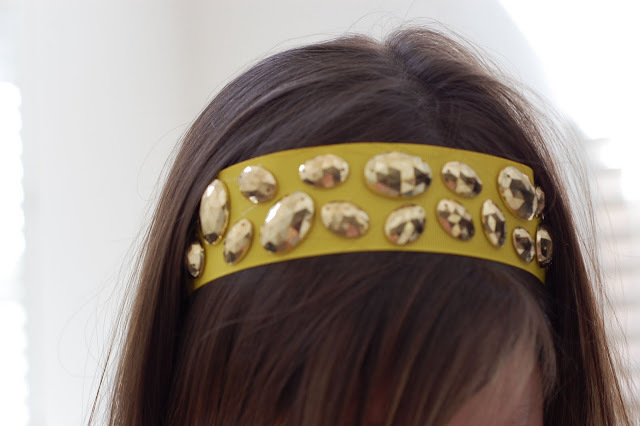 All you need for this headband is jewels, at least one inch wide ribbon and a glue gun. 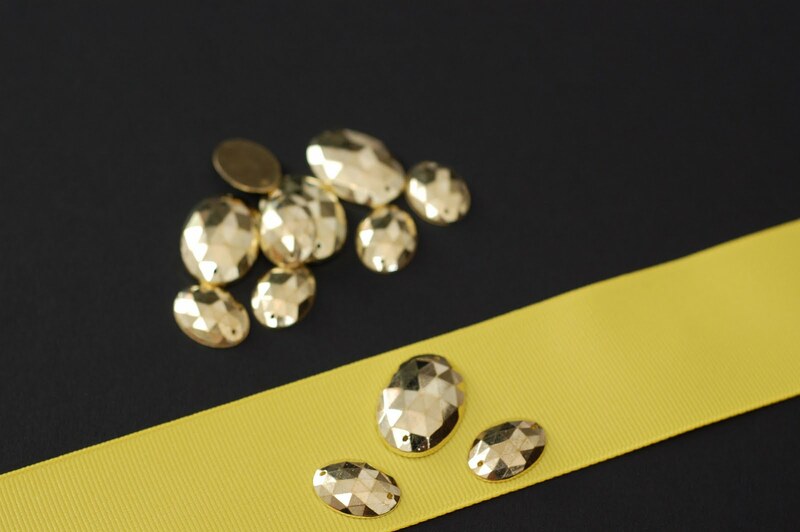 I picked out the jewels in the button aisle of a craft store then was immediately attracted to the yellow ribbon for spring. 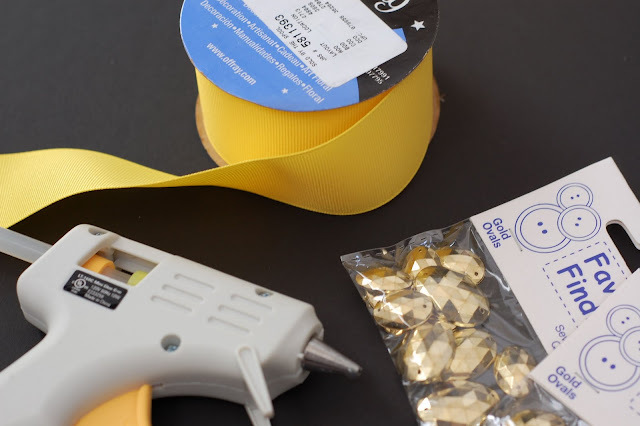 Simply hold the ribbon around your head to measure for length and cut to size depending on how long you'd like the tails. Place jewels in position then glue! Ta da, pretty easy right? If you make your headband tails long enough it can also double as a belt around a high waisted skirt. Waiting for somewhere to wear mine too! i wear so many headbands! my roommates call them the teacher headbands. but it's just so easy to put one on with no fuss. 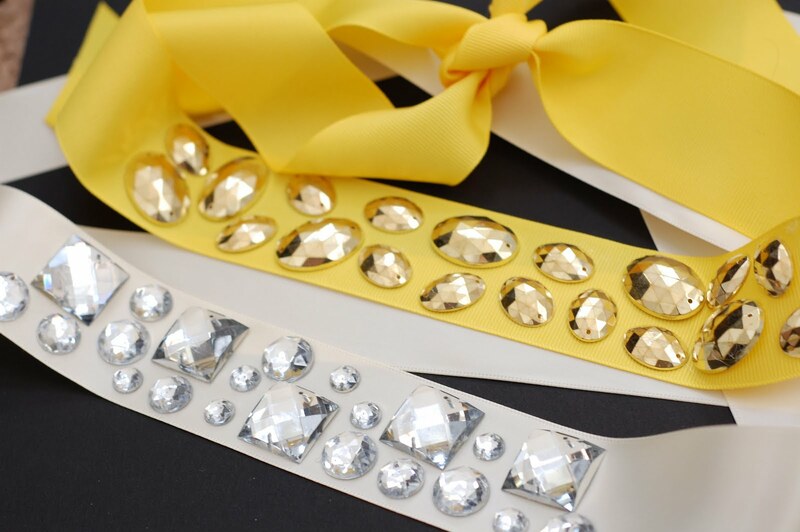 I love the yellow, but I always have a hard time wearing headbands!